Does anyone else wonder where the month of January went? This year is off to a great start and I love that I can continue to work with clients to turn their travel dreams into a reality. So, where will 2019 take you? If you are still looking for that perfect vacation destination and have no clue where to start, reach out by email or phone to chat. We are excited to sail away this coming weekend with a group of clients on Royal Caribbean's Oasis of the Seas to the Eastern Caribbean. If you follow us on Facebook, check the page next week for updates from our adventure. Once we return from our Caribbean adventure, I will be finalizing details for our 2020 group trip. I am thrilled to be partnering with Avalon Waterways for a seven night river cruise on the Rhine River. There is a teaser on our promotions page! Photos are from my recent trip on the Oasis of the Seas in October with family! Wake view is one of the best views and the boardwalk on the Oasis of the Seas is amazing! I've been thinking a lot lately about experience and how I bring that to my clients. I am often asked to find the lowest price or offer lower end properties that may not be the best fit for my clients and frankly, I just don't want to offer that type of experience to my clients. While everyone wants a great deal (myself included), paying the lowest price often doesn't provide the best experience. This year has given me the opportunity to work with many clients traveling to Europe, which I love! What I love the most is when they are traveling to destinations that I have been to and I can offer them personal suggestions for excursions, restaurants and places to shop. I have clients that are currently planning a trip to Prague and Budapest and I am so excited for the adventure they have ahead of them. Torn between a day trip to Vienna or Bratislava has my mind running with suggestions to offer since we visited there several years ago on a river cruise. I can't wait to tell her about the oldest schnitzel restaurant in Vienna! If you have ever traveled with one of our groups, you know that I want each trip to offer special experiences along the way. During our English and Scottish Discovery Group last month, I added tickets to the Edinburgh Royal Military Tattoo in Edinburgh and high tea at Harrods in London, two memorable highlights from the trip for sure. Next time you are starting to plan your vacation, think about the experience you want and how you want to feel not only while you are on vacation but when you return. Below is a picture from the Royal Military Tattoo in Edinburgh. Truly a bucket list experience! Where in the world are they?? I'm not quite sure where the first quarter of the year has gone. All three months flew by in a flash of making travel plans and sending clients to amazing destinations in our great big world. As April kicks into gear, I have numerous families and couples traveling for Spring Break this week and can't wait to hear all about their adventures when they return. I have had several clients share photos from recent adventures and thought I would post a few here. 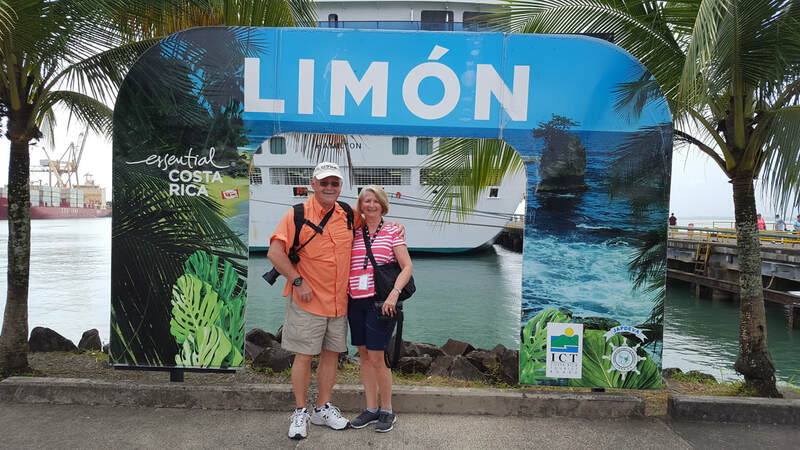 First up are the Shaw's, who recently traveled on a Panama Canal cruise on Princess Cruises. 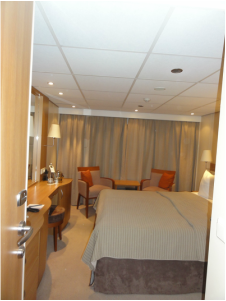 They enjoyed lovely ports of call, beautiful scenery and enjoyed the newly refurbished Caribbean Princess ship. 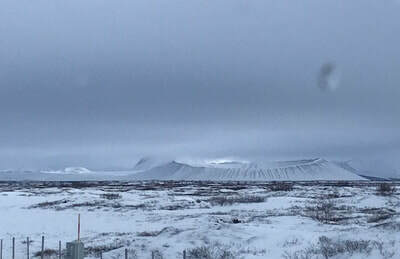 Next up are the Edwards and Buttery families that traveled to Iceland to chase the Northern Lights. This is experience is high on my bucket list! 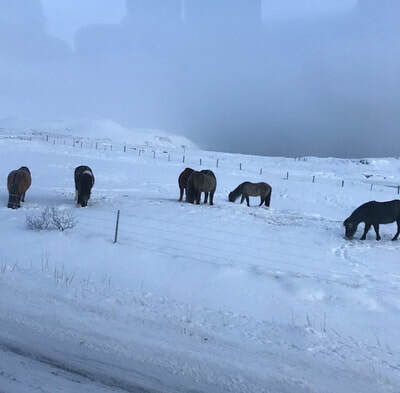 They enjoyed a four night stay in Reykjavik and Akueryri that included touring of these areas and several nights of guided light spotting. They saw the lights and photos just couldn't capture what they experienced. Sharing a few photos of the beautiful landscapes they enjoyed during their adventure! Before we get too far into the busy spring and summer season, think about your bucket list and the next destination you are ready to check off. I am here to help in turning that dream into a reality! Fall is my favorite season and I can't believe that in two days the month of October will be here! I am ready for crisp mornings, cooler days, all things apple and Halloween! Every week as I write my to-do list for the week ahead, I always include blog somewhere near the bottom. As the last few months have flown by I have yet to make it to the point in my to-do list to complete this task. While being busy is a great problem to have, I also have the desire to share travel information and what has been going on in the office here. Our annual trip to see Glorious Christmas Nights in Richmond is now on the promotions page. Last month I was invited to join the Better Business Bureau as an accredited business. What an honor for my small business to be selected for this recognition. Sales for our 2018 English and Scottish Discovery group trip are in full swing. Space is starting to become limited for this trip. Full details are on the promotion page and you don't want to miss this bucket list experience! I am already pondering ideas for our 2019 group trip. If there is something at the top of your bucket list, I am always interested in suggestions. Now is the best time to be thinking about spring break and summer 2018 vacations. Don't wait until the last minute to lock in the best rates and availability. As we jump into Fall, get out there and enjoy this beautiful season! How can it be the middle of June? The first six months of the year have flown by and my online presence has suffered a bit. I had challenged myself to blog weekly at the beginning of the year and have failed miserably at the task. So here I am trying to start blogging again! The new year has been great in the Solutions Travel office! I have worked with two destination wedding groups, found a love for planning custom trips to Europe, worked with some amazing couples and families to turn travel dreams into a reality and planned the next great group adventure for 2018. In March, Mike and I escorted a group on a 9 night cruise to the Caribbean on Royal Caribbean. We had a blast exploring Labadee, Aruba, Bonaire and Curacao! Last week we escaped to Maine for a few days on the coast with friends. A great way to recharge! Looking ahead, I have just posted our 2018 group trip under the promotions tab. We are excited to offer and English and Scottish Discovery, August 9 - 19, 2018! If you loved our Ireland tour in 2013, this one will not disappoint. We have planned a fantastic tour, on a private coach with no optional excursions. We look forward to having many of our familiar faces join us for this adventure and hope to have so new friends join us too. I'll leave you with a photo of Mike and I from our time in Maine last week! New Year, new hours and looking forward to great things to come! It's a new year and it is hard to believe that we are now in the second week of 2017! With the new year, I have decided to scale back my hours a bit and close the office on Sunday's. Office hours will now be: 5:30pm - 9pm Monday - Friday and 9am - 9pm Saturday. 2017 is already off to a great start and the last two weeks have been busy helping clients turn their travel dreams into a reality and preparing for our 2017 group trips. I look forward to updating this page more frequently and wish everyone a great year ahead! Photo credit: Christina Berry taken in Venice, Italy! Back to blogging! To say that I took a leave of absence would be an understatement. I have been wanting to blog and talk about everything going on in my travel world but truthfully haven't made it a priority. I also struggle with what to write, that I consider my writing skills to be subpar and that no one will read this. So this morning, I have carved out some time and added blogging to my ever growing task list. Have you ever wondered how we pick our group trips? I won't deny that it is a lot like the picture I posted above. We throw many options on the table, look at the pros and cons of each destination, travel time to the destination, inclusions for the tour or cruise and most importantly the price point. 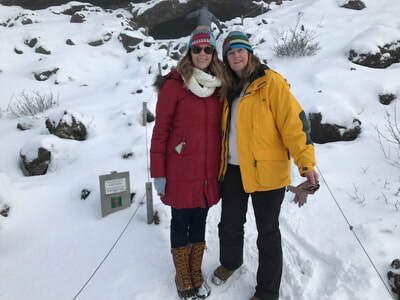 While I am an office of one, Mike is instrumental in helping me select destinations, compare itineraries, crunch numbers and produce flyers to help promote the next great adventure. For 2016, we still have space available for our Great Italian Cities adventure! Space for this group will close on July 23rd, so if Italy is on the top of your bucket list now is a great time to join us for this adventure. I wanted to also use this post to announce our 2017 groups! Most years we only offer one group but 2017 we will have two great opportunities! Up first will be our return to Caribbean cruising! 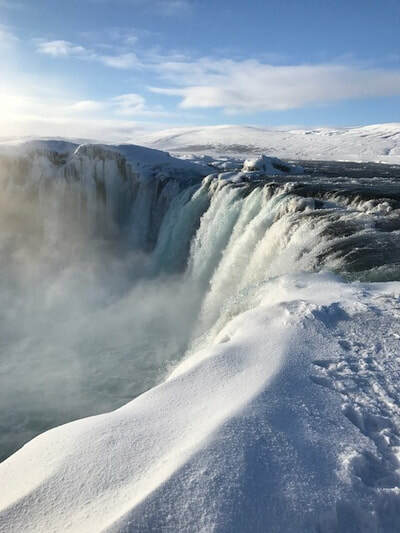 We haven't escorted a cruise group in a few years and I love that a cruise allows us time to travel with our group but also have some downtime that a land tour might not always offer. We have chosen a great itinerary on Royal Caribbean's Navigator of the Seas for a 9 night adventure. Full details are over on our promotion page! Our second group offering for 2017 will be something we have never done before. We will travel to Albuquerque, New Mexico for the Albuquerque International Balloon Fiesta! This will be a four night escorted tour departing the first week of October 2017. We are still putting the final touches on the itinerary and hope to roll out complete details in the coming weeks. Stay tuned for new posts coming your way soon! We often plan early for our vacations, however planning for our Viking River Cruise began in March of 2013. Our friends Roger and Christina were interested in a river cruise to celebrate their 20th wedding anniversary and asked us to come along. Our group of four grew to a group of six when my friend Patty, who is also a travel agent and her husband Paul from Atlanta decided to join us as well. The countdown to the adventure was a long one but completely worth it in the end! Viking continues to provide excellent documents to provide you with all you need to know prior to departure. We couldn't leave home without Captain Trav! Day #1 of our adventure began on Saturday, October 4th. We met Roger and Christina in Norfolk and took our first flight to Atlanta where we met up with Patty and Paul. From Atlanta we boarded our overnight flight to Amsterdam and after a few hours in Amsterdam, boarded our final flight to Budapest, Hungary. 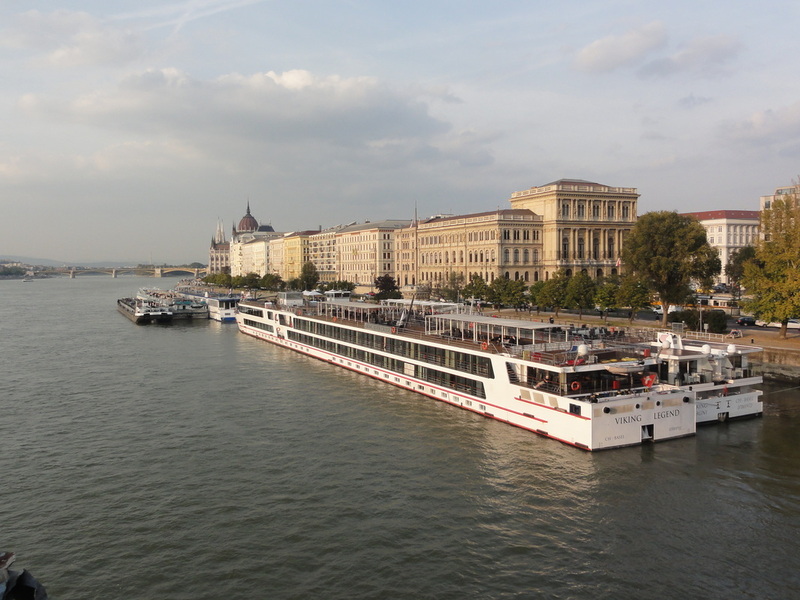 Our arrival in Budapest, on Day #2 was very easy and we quickly had our bags and made our way to the Viking Cruise Line representative that was waiting for us. Our coach transfer took about 30 minutes for the airport to our ship, the Viking Legend which was waiting for us at the base of the Chain Bridge on the Pest side of the city. Embarkation was nothing like arriving at a large cruise terminal. We were able to walk directly onto the ship, provide our names and were handed our key cards to our cabin. The small ship experience was beginning to grow on us already. A short walk down the hall from the Reception Desk and we were at our cabin # 233 with a French Balcony. Viking offers the largest cabin accommodations in the river cruise market. Our cabin offered plenty of storage, a comfortable bed and two chairs to enjoy the view of the river when we had our curtains open. 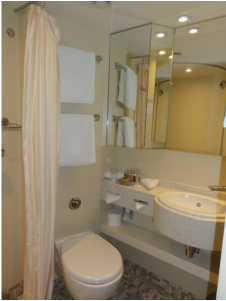 The bathrooms were standard cruise ship size. Unlike many cruise lines, Viking does provide toiletry items by L'occitane which was a nice touch! After checking out our cabins and grabbing a bite to eat in the lounge, we were able to join a 45 minute walking tour to introduce us to Budapest. This was an optional excursion offered to any guest that wanted to get off the ship, stretch their legs and get a feeling for the Pest side of the city. We grabbed our cameras and headsets that were provided in each cabin and met our guide just off the ship. The headsets are wonderful! Your tour guide is able to speak in a normal voice and you don't have to be standing super close to hear what he is she is saying. Our guide for the afternoon was George and he started our tour by taking us to St. Stephen's Cathedral in the heart of the Pest side of the city. From there he walked us through a pedestrian area and talked about the history of the Beda and Pest sides of the city. At the end of his walk we were given the option to stay in the city and explore or could follow George back to the ship. Having been up for over 24 hours we all elected to walk back to the ship. Beautiful St Stephen's Cathedral in Budapest! Our ship the Viking Legend on the left and another Viking ship the Viking Magni on the right. This photo was taken from the Chain Bridge and you can see the Hungarian Parliament building in the distance. After our walk, we enjoyed the rest of our day on the ship. We were able to unpack, get settled and most importantly take a shower! The daily briefing in the lounge introduced us to many members of the crew and the dinner that followed was fantastic. Our next post will feature our full day of touring in Budapest! Welcome to our new website! I am thrilled to launch this beautiful new site and also start back blogging on a regular basis. Being our ninth year in business, I thought it was time for a bit of a facelift! So, over the last few months I have been working with Katie Kelley of Kathleen Kelley Designs to develop a new website and I am super excited to share it with all of our travelers or anyone that may be interested in travel. In the coming weeks look for additional photos to be posted and I will start sharing on the blog as well! Thanks for visiting our website!